A REFERENDUM ON divorce in Ireland is to be held on the same day as the European and local elections in May. It is also understood that the government intends to hold another referendum on the same day that would propose to give Irish citizens living abroad the right to vote in the Irish presidential election. 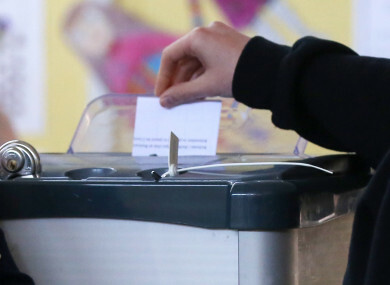 So, today we want to know: Should Irish citizens living abroad be allowed to vote in the Irish presidential election? Email “Poll: Should Irish citizens living abroad be allowed to vote in the Irish presidential election? ”. Feedback on “Poll: Should Irish citizens living abroad be allowed to vote in the Irish presidential election? ”.